Susan Isabelle is an incredible and gifted psychic from Mt. Shasta, California. She runs what she calls the “Shambala Center” at: 101 West Lake Street in Mount Shasta, California. Her center is full of wonderful crystals and crystal skulls. 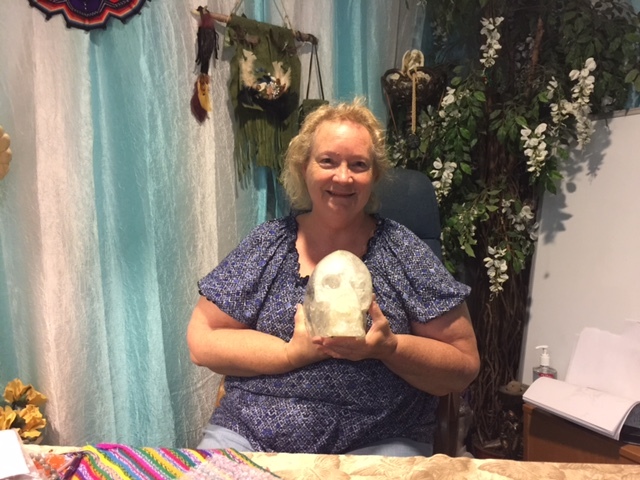 According to Susan, “the Maya people know that Itznma, Son of the Divine People, brought the 13 Crystal Skulls to Earth to the Maya (dream) people. The 13 Skulls are the 13 thoughts or the dream, of God. They stay on Earth until the end of the dream; the 13th Skull is given back to the Creator, just as the Christ (13th) returned. This is the start of a new birth, a new child, a new creation. There is so much to tell you! In this interview, we discuss the great Earth changes happening now, according to the Mayans and her crystal skull. Please join us for this really Out of this World interview!